hd00:59This video is a 'how to' video, 1 minute long cut, bartender is showing her process of her own bloody mary cocktail recipe at the counter of the bar with amazing garnish on it. 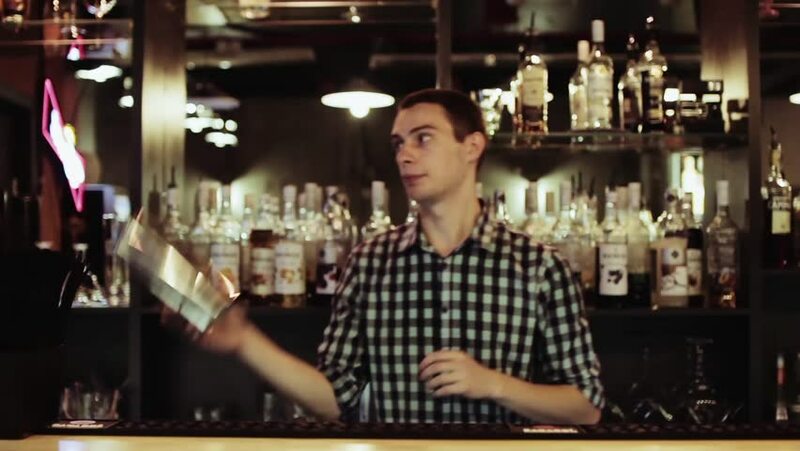 hd00:12ROSA KHUTOR - FEBRUARY 2018: BAR Bartender mixing cocktails standing behind the bar in a brown apron. He is using shaker for mixing. Professional equipment.